I found this nice music video about couple moments and it seems to me today is the perfect day to share it. Passion Pit – Carried Away from BREWER on Vimeo. What’s the occasion? Well, in case you didn’t know and I’m pretty much sure you didn’t, Romanians have their own traditional love-celebrating day on the 24th of February, called Dragobete. According to some customs and to my grandma, I should plant and wear basil in my hair today so that my year will be lucky and heart unbroken. Also, if the weather permits it, young girls and boys should go pick snowdrops or any other early spring flowers for the person they are courting. 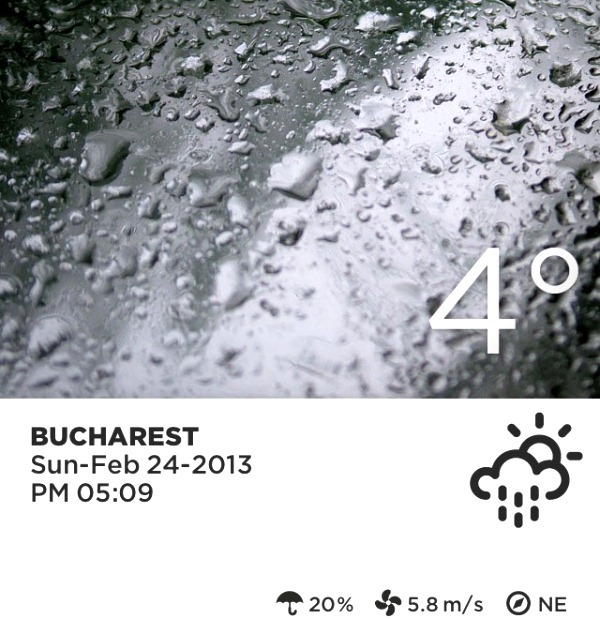 Weather forecast for today in Bucharest: moody. This entry was posted in English, please., Events, Living, Love, Social and tagged celebration, clip, couple, Dragobete, English please, love, moment, sweater weather on February 24, 2013 by Lori Alexe. Pingback: Feliz dia del Carino!